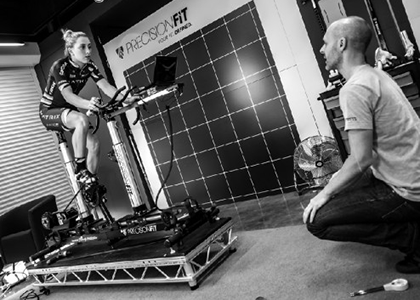 Last year I received a call from Cyclefit asking if I was interested in a bike fit session – knowing that the set-up is really important I jumped at the opportunity. The result? I now LOVE my bike and my riding has been improved beyond recognition. It’s fair to say that my experience at Cyclefit has been transformative, not only does my bike feel great – like we are working together as a team rather than two separate entities – but my riding position has improved to such an extent that I actually want to go and test myself on hills – something that I previously avoided at all costs. Let’s put this into context. I have ridden a bike all my life, but mainly as transport to training or work. In recent years I’ve done a couple of rides – London to Brighton, Coast to Coast, Cycletta etc. I am a comfortable and reasonably confident cyclist in this capacity, but I’d be nervous to attempt a longer sportive and I wouldn’t contemplate anything mountainous. I haven’t even mastered clip-in shoes. Cyclefit is not only the longest established organisation dedicated to cycling position analysis (started 2001), but the only company in the UK that is contracted to work at World Tour level. Clearly I don’t really ‘fit’ as the obvious customer, so when I turn up with my ‘entry-level’ bike, in everyday sports kit and definitely with a higher percentage of body fat that the average pro-cyclist, I feel like a fraud. The store front is full of exceptionally beautiful (and expensive) bikes and behind the scenes there is high-end scientific equipment galore. The staff are all (fit) men who know everything there is to know about cycling. But here’s the thing – there is no cycling snobbery going on here and there’s certainly no judgement as to cycling ability – in short they couldn’t have been nicer or more supportive if they tried. 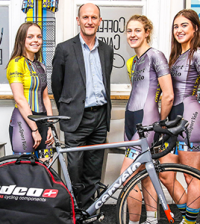 Currently, women make-up around 40% of Cyclefits’ client base and the aim is to grow this. 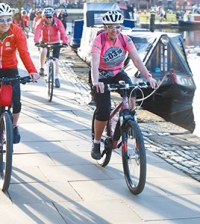 Customers range from the Matrix pro-team (which includes Laura Trott and Elinor Barker amongst others) right through to keen recreational triathletes and everyday commuters. It’s not just about maximising performance, often the most interesting fits are where the team problem-solve an issue. One case-story that’s worth a mention is the commuter who’d spent a fortune on physio to try and solve a recurring back issue before turning to Cyclefit. 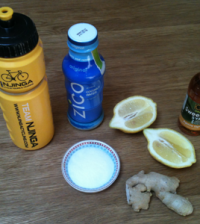 The team managed to sort out her problems and ensure comfortable, pain-free cycling. Of course there is a financial cost here too – but the outcome is that she can now look forward to fewer physio bills and more enjoyable riding – plus she doesn’t need to spend money on upgrading her £50 bike. So what does the fit entail? 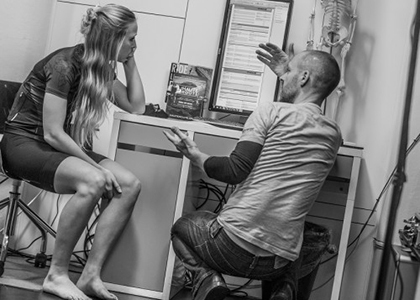 Before getting on the bike I am first assessed through a series of questions on my general background, riding and medical history; this is followed by a physical check to identify imbalances or problem areas. 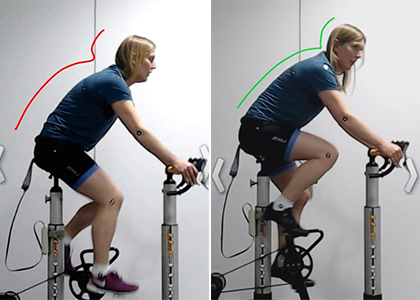 The physical assessment is used to obtain the best range of angles suitable for me on the bike – meaning that I was not being taken beyond what my body is currently capable of. I am then measured to establish a basic set-up, dotted with mapping stickers and set-up on the bike rig to start riding. My fitter, Elliott, then analysed the video footage and stills taken to adjust the overall position on the bike. The assessment also helps build a picture of what my strengths and weaknesses are on a bike and shows how Cyclefit can adapt the fit to exploit or support these. 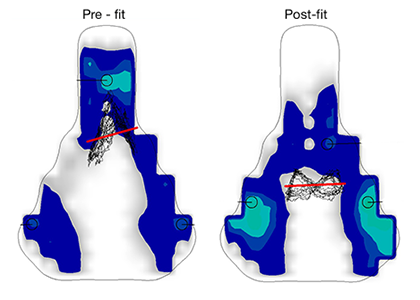 For me the assessment session involved three main sections – the general fit and bike set-up, the saddle positioning and pressure point re-alignment and finally the improvements that can be made with the correct shoes and orthotics. I was feeling cramped on the bike and there was a lot of pressure on the front of the saddle. This was due to the negative angle that the saddle was set up with, this also tipped me onto the nose of the saddle moving me closer to the bars. 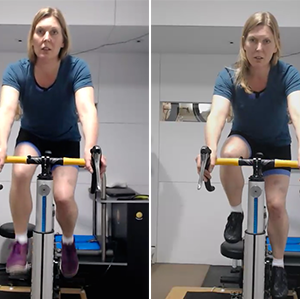 By adjusting the saddle, my weight moved back to the sit bones, which also gave me extra room in my upper body and stopped the cramped feeling. Elliott also encouraged me to flatten out my lower back by engaging my core and to try and take the weight off my shoulders and arms and relax into the hoods. Above: Turquoise (weight) and black (movement) areas emphasise the shift in weight and positioning pre and post fitting (post fitting is also with clip-in shoes). 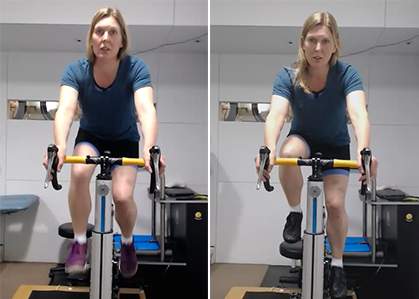 These seemingly simple adjustments have made a huge difference to my riding – now, instead of labouring with all my weight over the front of my bike (especially uphill) I am now much more relaxed in my upper body and am using my core, glutes and thigh muscles much more effectively. The change has been fundamental and the knock-on effect enormous. Feeling more comfortable, being more efficient, feeling stronger uphill – all this means I am more confident and therefore happier on my bike. I would go so far as to say that these changes will now affect what I tackle in the future and therefore widen my cycling ambitions. The learning experience has also given me an appetite for more, so next I am determined to master clip-in shoes. Final thoughts: It costs in the region of £250 for a full three hour assessment, my advice? Do it, save up, build it into the cost of your new bike, ask for it for all your Christmasses and Birthdays. You won’t regret it.